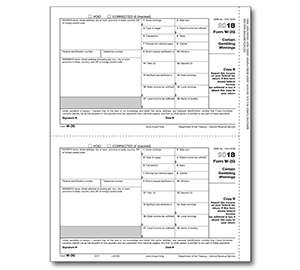 We've made a commitment to be your tax forms supplier. 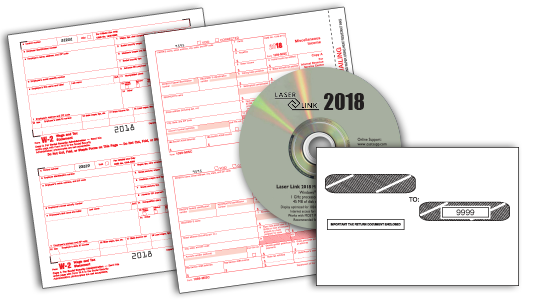 Order now at these "Won't Be Undersold" prices. 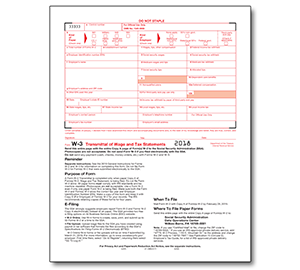 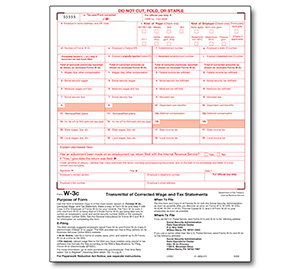 All our tax forms are IRS approved and guaranteed compatible with your software. 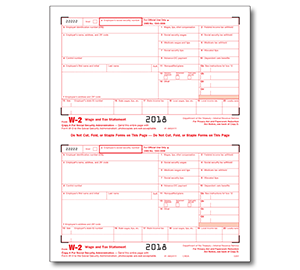 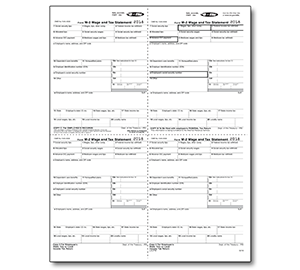 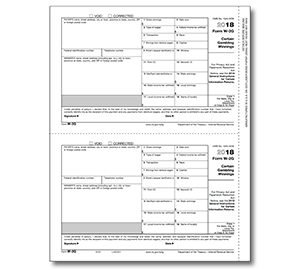 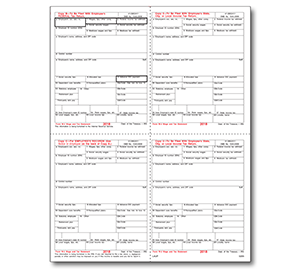 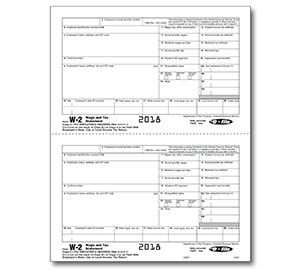 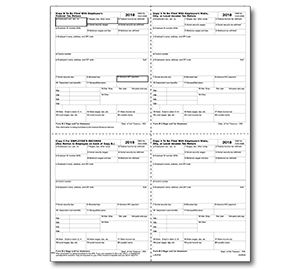 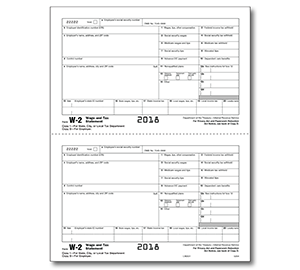 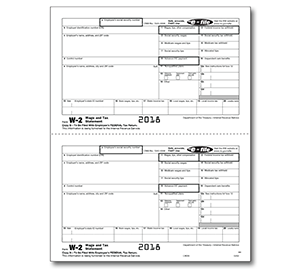 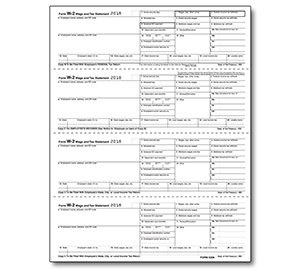 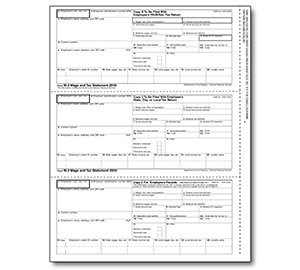 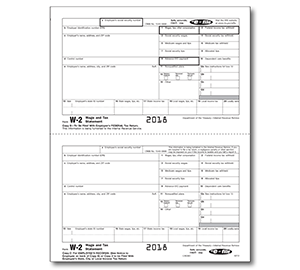 If you don't see the forms you need, call us to receive a catalog of our full line of tax forms and their corresponding envelopes. 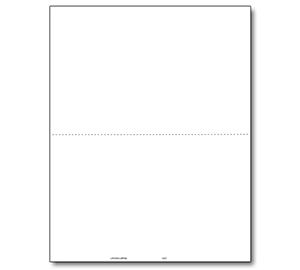 One Employee per page. Order compatible envelope: 82-66661 - Moisture Seal Flap or 82-66662 - Self Seal Flap. 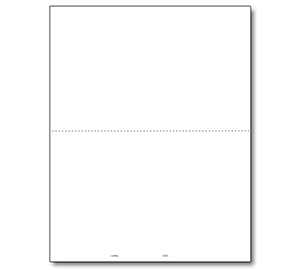 One employee per page. 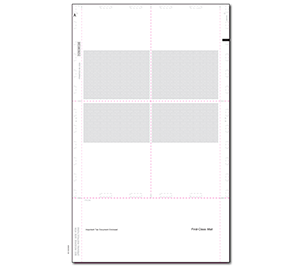 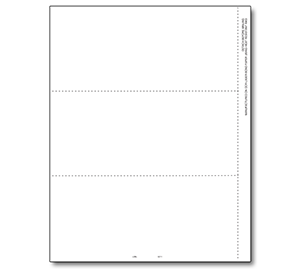 Order compatible envelope 82-6161. 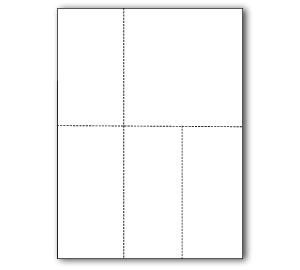 Use for certain gambling winnings. 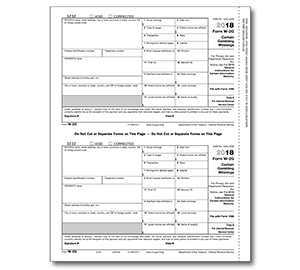 Sold per form; not per sheet.